How the decision to end DACA affects "Dreamers"
The Trump administration announced Tuesday that it's ending the 2012 program that has deferred deportations for more than 780,000 people who came to the U.S. illegally as children. Attorney General Jeff Sessions outlined the decision at a press conference at the Justice Department, arguing that the program, created by President Obama, is unconstitutional and was an executive branch overreach. The acting secretary of the Department of Homeland Security, Elaine Duke, issued a memorandum Tuesday formally rescinding the Deferred Action for Childhood Arrivals (DACA) program and phasing it out. DHS is providing a six-month window in which it will adjudicate pending requests and will give Congress a chance to pass a legislative alternative. As a result, the program will end at different times for different people, expiring on a rolling basis. For any initial DACA requests and applications for Employment Authorization Documents (EADs) that have been received as of Tuesday, U.S. 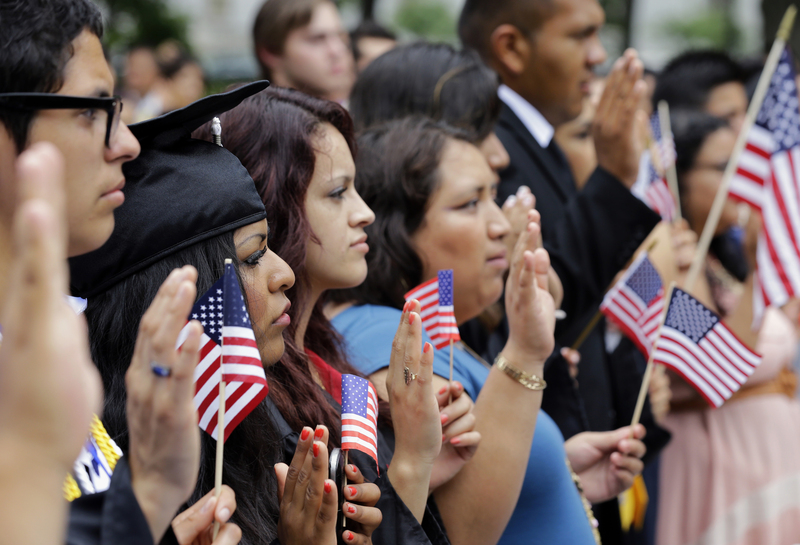 Citizenship and Immigration Services (USCIS) will adjudicate them on an individual case-by-case basis. USCIS will reject all initial DACA requests and associated EADs received after Tuesday. For any requests for renewing DACA benefits and associated applications for EADs that have been received as of Tuesday, USCIS will adjudicate them on an individual, case-by-case basis. For individuals whose DACA status expires between Tuesday and March 5, 2018, USCIS can still adjudicate their renewal requests, but only if they're received by Oct. 5, 2017. Senior DHS officials said that as part of Duke's memorandum, USCIS will close all pending applications for Advance Parole associated with the DACA program. Advance Parole is a permit that allows a non-citizen to reenter the U.S. after traveling abroad. For any previously approved Advance Parole, USCIS will honor the validity period, but if a person doesn't have a previously approved parole application and travels outside the U.S., officials said that person's departure would automatically terminate their deferred action under DACA, and Customs and Border Protection will likely not allow their reentry to the U.S.
How will this affect immigration enforcement? Senior DHS officials said Tuesday that the administration's enforcement posture won't change. This means that for deportation, criminals who are undocumented will still be the priority, as well as illegal reentrants and people with outstanding orders of removal. Officials said that while DACA is being rescinded, USCIS will retain the immigration records records for recipients. They said that the government retains the histories of everyone who has passed through the system, and they don't destroy records for any type of benefit adjudicated. Between August and December, 201,678 people are set to have their DACA and associated EADs expire, officials said. Of that group, 55,258 have pending requests for renewal that have been submitted to USCIS. Next year, officials said that more than 275,000 are set to have their DACA and EADs expire and more than 300,000 in 2019.